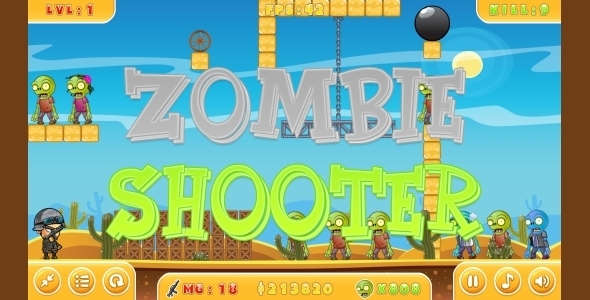 Zombie Shooter â€“ a super cool game in which you must kill all the zombies, direct hits of bullets, as well as the rebound! Share what youâ€™re capable of and destroy all the zombies as fast as possible! Made in Construct 2. Enjoy the game!